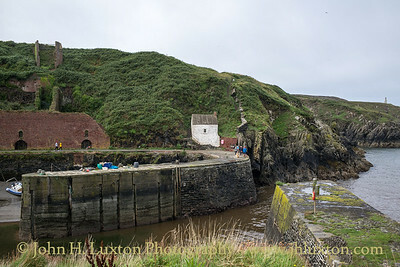 An exploration of the diverse industrial archaeology of two Pembrokeshire villages, slate quarrying, dolerite (granite) road stone extraction, brick making and the associated, railway and harbour operations. 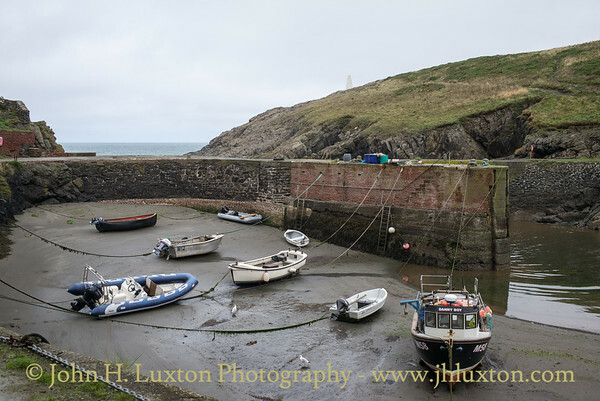 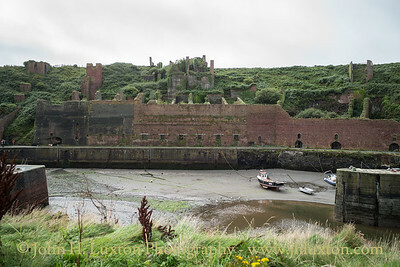 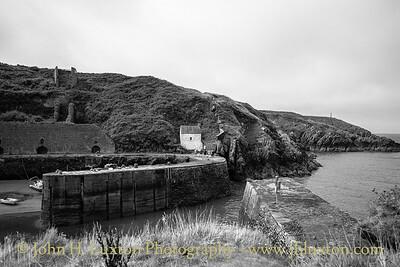 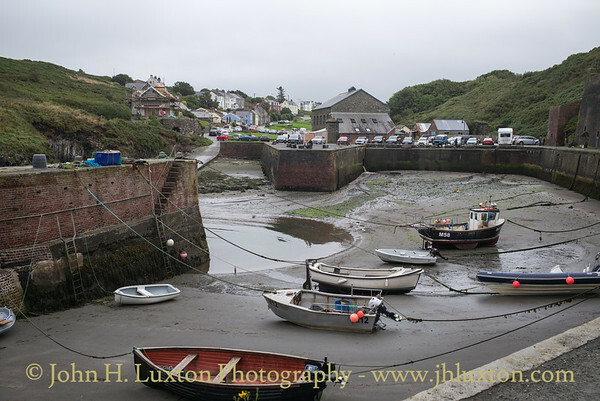 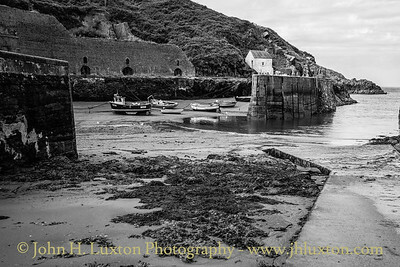 Porthgain Harbour once busy with shipping transporting slate and latterly granite until the 1930s. 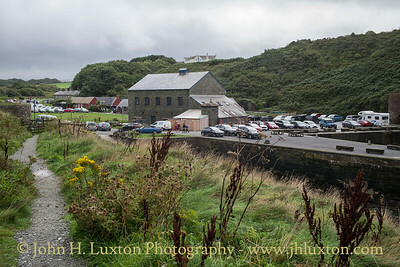 The small white building is the harbour pilot's office. 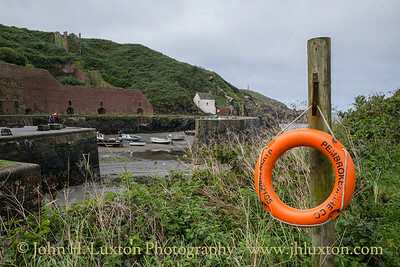 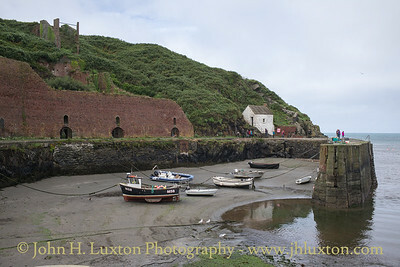 Porthgain Harbour. 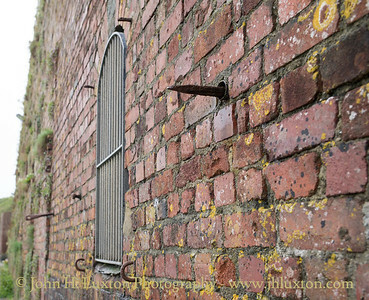 The brick structure is are the storage bins for the granite conveyed by railway from the granite quarry about a one mile away. 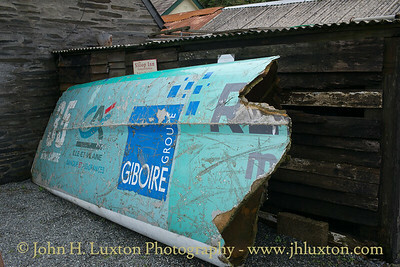 A damaged section of the hull of French raing catamaran "French Tech Rennes Saint Malo" which came to grief in the 2015 Transat Jacques Vabre race. 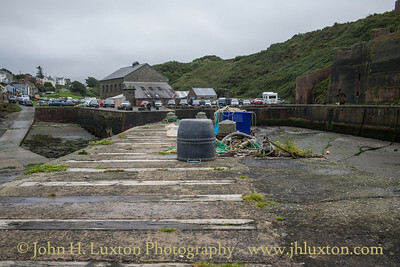 The granite and slate industry have long since ceased however the harbour is still used by fishing vessels. 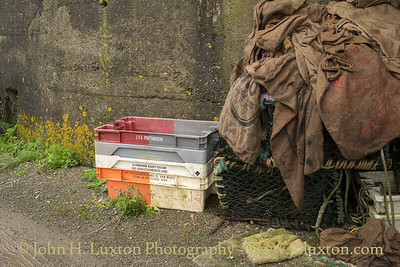 as evidence by fishing boxes from the Netherlands, Ireland, Wales and England. 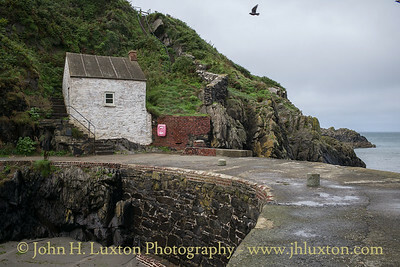 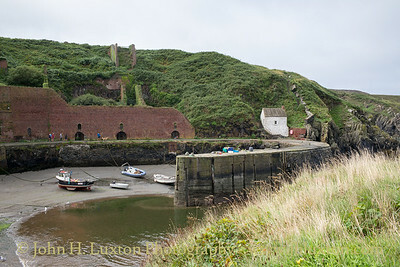 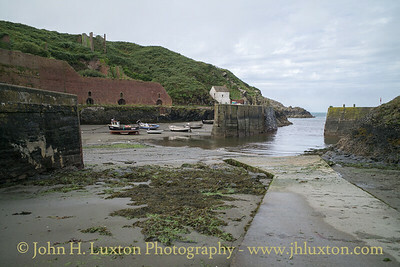 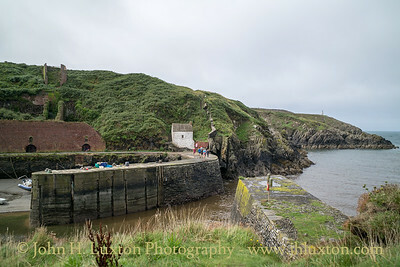 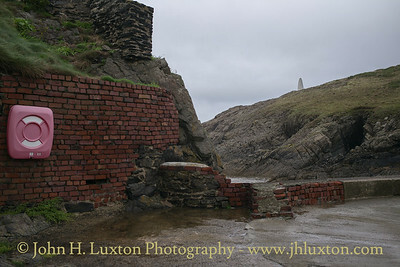 Porthgain Harbour - the granite storage bins are on the left. 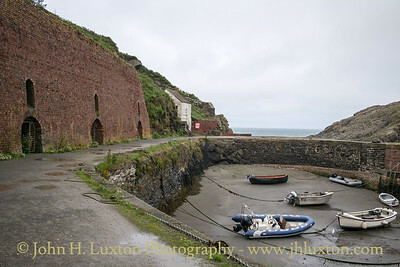 The archways are now used as fishermen's stores. 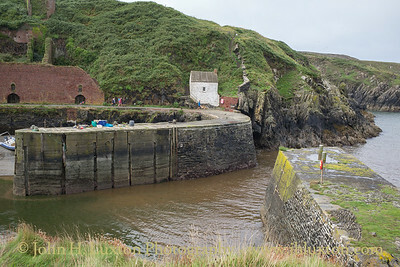 Porthgain harbour viewed from near the pilot's office. 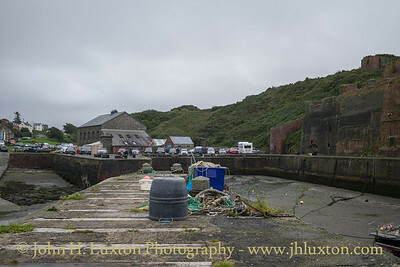 Porthgain Harbour looking towards The Shed - the former brickworks building. 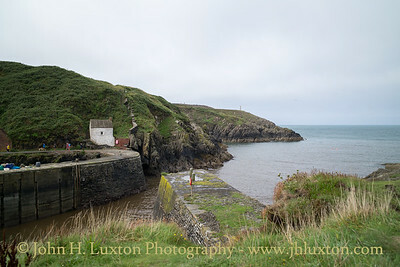 Porthgain Harbour one of two day marks which mark the harbour entrance can be seen on the cliff. 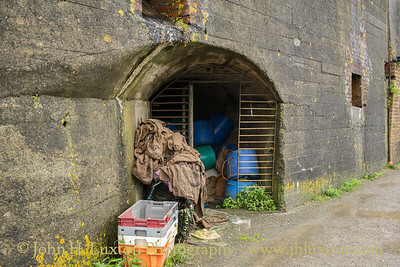 This was once the railway tunnel linking the harbour to the slate quarry. 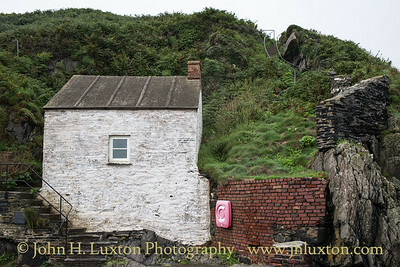 It is now used as a fisherman's store.